Gu Jiayue: And there are something bad during the incident. One is the involvement of many passionate masses and students. The other one is, if such mode of defending rights by forcing the government and the employers to compromise goes widespreaded, it will make a very bad impact on China's peace and stability. Before learning about left-wing theory, I'm somehow sentimental. I feel sad and angry for the dark side of the society, and feel guilty for my superior life. When I went to college, I majored in medicine science, I often heard some tragic stories that it's too expensive or difficult for ordinary people to get medical treatment. I was becoming more and more angry about the darkness and the unfairness of the society, while I can't find way out. That's the background of me to join the Marxist Society of Peking University, to learn about the radical left-wing theory. We have studied a lot of extreme cases, such as laid-off workers in state-owned enterprises, helpless, starving to death; or the workers in the Pearl River Delta region have been exploited. All of that make me think the Chinese society is full of darkness and hopeless, and the Party and the Government don't care at all. The only way to the real socialist world, in which everyone is equal, is to organize advanced workers to build workers' movement and overthrow the regime. I'm not only accepted the radical theory in mind, but also took part in the related organizations. My circle of friends was becoming more and more solidified, which make me have no chance to rethink my thoughts. In fact, I didn't know Chinese society very well, such as what measures the Party and the government have taken to eliminate inequality. I have not thought about it at all. In the university, it's me to advocate radical left-wing theory, to develop the society. Although I was not participated in the workers' movement directly, I met some of the radical workers' movement organizations, including the major planner of the Jasic incident. After the graduation, I founded the website Pioneers of Time, which is nominally concerned about vulnerable groups, such as workers and peasants, and report their conditions of living. But which, and whose thought, is not the primary coverage of reports. The primary coverage is focus on their so-called resistance actions, especially against the employers and the government. In the matter of fact, Pioneers of Time is not very clear about the events it reports, most of them are references from other websites, or made up by editing and clipping. For example, about the tower crane workers' strike, the Pioneers of Time was not clear about the detail of the event, same as the Jasic incident. We are doing nothing but reposting text information from the workers, or some radical leftist comments. Zheng Yongming: We talked in our society about the 60-years history after the founding of the People's Republic of China, whose main contents are to show that the first 30 years before the Reform and Opening are the real socialist era, while the Cultural Revolution was not so as stated in our school textbook (Note: "An enormous error initiated by Mao"), but a mass movement against bureaucracy as they said. And the Reform and Opening was actually a process of the restoration of bureaucratic capitalism because that the Cultural Revolution failed. Then with such historic materials, he demonstrated us many examples they collected to prove how fair and how beautiful the chinese society of the first 30 years, before the Reform and Opening up was, and then he exaggerated many problems of the latest 30 years after the Reform and Opening up, which brought us a wrong view of history. Gu: I have released a lot of information online through the website Pioneers of Time, which motivated the public opinion widely and caused a widespreaded dissatisfaction online. And on the reality I persuaded many university students of the leftist society and some elder leftist comrades to support them on-site, causing the gathering on the scene. In a word, such a way did not helped the workers to defend their rights, furthermore it has exceeded the legal approach, which brought a strong pressure to the local police during the law inforcements. Meanwhile it has also led some college students and the people who are unaware of the truth astray to the road of violating the law and of the crime. Zheng: One of our purposes to create the website Pioneers of Time, is such an expectation that we could get a public platform to spread and sensationalise some negative and sensitive events in the society, thus to arise intense discontent among the masses of various classes against the society, against the government, in order to promote our radical left-wing ideas and enlarge our mass basis for it. Narrator: They believed that current Chinese society is not the socialist one, and didn’t recognize current political system. They tried to build the so-called socialism by students’ movement and labor movement. After reconsideration, how has their ideas changed? Gu: I believed radical theory and was lack of the awareness of overall situation and the law. In Jasic Incident, we tried to suppress the capital and the authority by online media and demonstration, which destabilized the local situation. With the upgrading of the incident, I found that many secret powers and radical words appeared, which surprised me. I was frightened that I might be away from my initiation to defend labor rights. Under the education of the Police, I really understood the true situation of China. Especially, after the PARTY’s 18th Congress, the PARTY and the Authority tried to solve the inequality by various ways. Zheng: To be frank, the policy of Reform and Opening is the result of the PARTY’s principle of “Seek truth from facts”, and broke with the Soviet system. It is a correct developing line which accorded with both Marxism and Chinese reality. It has neither repeated old words nor got rid of the red flag. Especially, after the PARTY’s 18th Congress, our country made great achievement. People is in great happiness and the feeling of achieving. It powerfully proved the correctness of the Reform and Opening. Yue Xin: Because now I has understood that my activities during the Jasic Incident had violated the law, I will accept the punishment by the law.I also found out the radical organization and ideology behind the Jasic Incident and its harm to young students. So I voluntarily decide to break with the organization and ideology. And if possible, I hope to openly unveil and criticize the ideology as a whole and the organization’s activities, which may warn the mass in our society (especially the young students). I will watch Network News Broadcast (Xin Wen Lian Bo) of CCTV and read the ideological and historical books which are produced by the PARTY. I also will try to clarify the ideals of the PARTY, and study the theory of Ruling PARTY strictly. I hope I can be able to know how our PARTY develop its own ideology according to the reality. 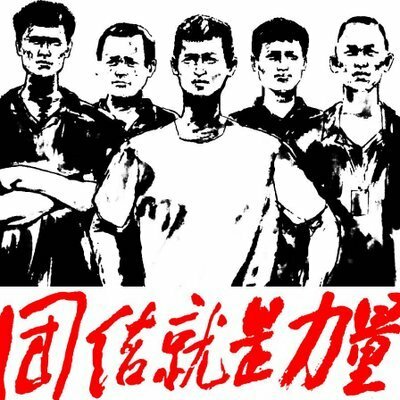 So now I understand it is the Communist Party of China that the only one can concern about the rights of workers and peasants in the New Age. And it is the PARTY that can only proceed with reform and development while keeps the social stability. Thus I’ve broken up some mechanical impressions towards the PARTY. I firmly understand that I should stand with firstly the PARTY, not only with the motherland and the people. Please visit the official website https://jiashigrsyt1.github.io/ to get the real-time news of jasic workers and the young marxist students in China！Please spread it to support the unite workers and young Marxist students !